Update-Voting is now closed. Thanks to all of you who voted. I truly appreciate all your multiple votes and enthusiasm the past few weeks. And a special thanks to Kristin over at Bon Bon Rose Girls for her support as well. First and foremost a big thank you to all of you who have been voting for me over at circle of moms. Right now I am in the Top 25 for Moms with Style but that could all change quickly because today is the last day of voting and the competition for the Top 25 spots is getting really competitive. Being in the Top 25 would not only be a great Mother's Day and birthday gift but I also started my blog one year ago in May and earning a spot in the Top 25 would be such an amazing milestone and accomplishment. Also my friends Kristin and Megan over at Bon Bon Rose Girls need your votes too. Please vote for me HERE and Kristin and Megan HERE And please help spread the word on Twitter and Facebook if you can. Kacie and her sister, both Style'N readers, emailed me requesting some additional details on a few of my previous blog posts. I thought I would take the opportunity to address their questions on today's post. 1. Could you provide the link to the peach mango mimosa's and spinach and mushroom quiche recipes you talked about on April13th?I am planning on doing a recipe post on the spinach, mushroom, and onion quiche sometime in May or June so stay tuned. But I can tell you it's my aunt's recipe and it's super easy to make and it's delicious. In the meantime if you want the recipe feel free to email me directly and I would be happy to send it to you. And the peach mango mimosa's are really easy to make. I just added this peach mango juice to some champagne...that's it! Oh threw in a raspberry in each glass to make the drinks look pretty. 2. Which food mixer do you have - it is photographed in your Valentines Cookies blog piece from Feb 7th. 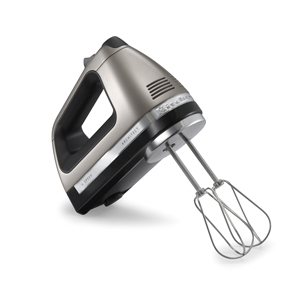 I use this Kitchen Aid Architect 6 speed hand mixer but I have been baking way more this past year and I would love to get a professional stand up mixer soon. 3. 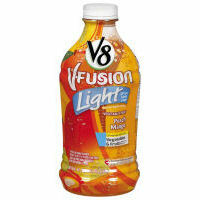 Where are the beautiful glasses from that you serve your smoothies in - the tall and the smaller ones? 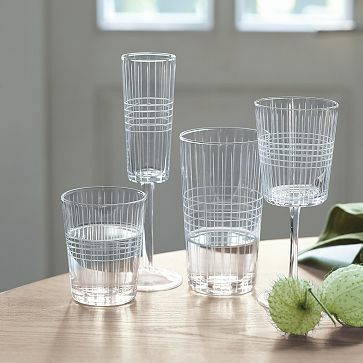 The smaller cocktail glasses are from Crate and Barrel. I got them a couple of years ago and unfortunately I don't see them on the Crate and Barrel website. I got the taller etched glasses more recently and they are from West Elm. I bought the tall tumblers and the wine glasses. And I use these wine glasses for yogurt parfaits and desserts. 4. We were curious to know which the orange cook book you had was was - its in the photo where you have the Gpaltrow, Flour and Giada's cookbooks in a pile from April 7. 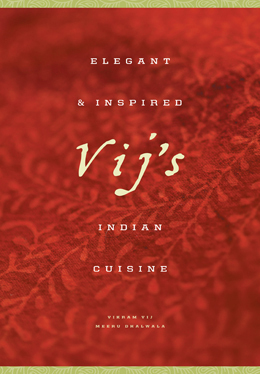 The cookbook is Vij's Indian Cuisine and it's available at Amazon. Vij's restaurant is an extremely well known and popular restaurant in Vancouver and we always eat there when we are in town. My husband and I both really enjoy making recipes from this cookbook. It is a David Yurman albion ring and Aneesh got it for me as a gift when Ariyana was born 3 years ago.